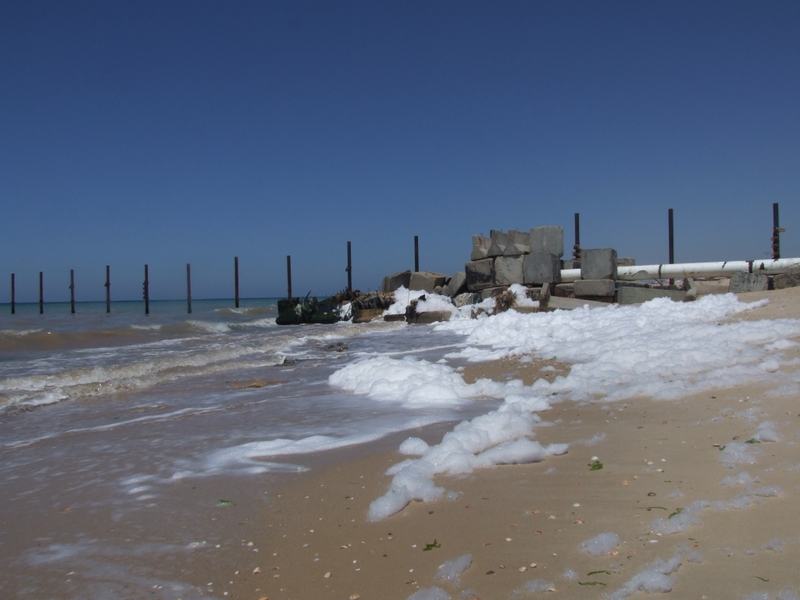 Sewage outflow on the beach in Gaza. Photo: Cara Flowers. Deterioration of water quality in Palestine, especially in Gaza, is a key environmental challenge that requires urgent action. Groundwater resources are suffering due to infiltration of untreated wastewater from leakages in the infrastructure, overloaded treatment plants and effluent discharged directly into the environment. Adequate treatment of wastewater has been neglected throughout Palestine, both prior to and during the present conflict, and little has been invested in wastewater treatment since the Oslo Accords of 1995. In the West Bank, the situation is made worse by the discharge of untreated wastewater into the environment from Palestinian communities in rural areas and Jewish settlements.